Sewing Assistant Teacup can't resist hopping into my reusable shopping bag from Jo-Ann's when I'm not looking. 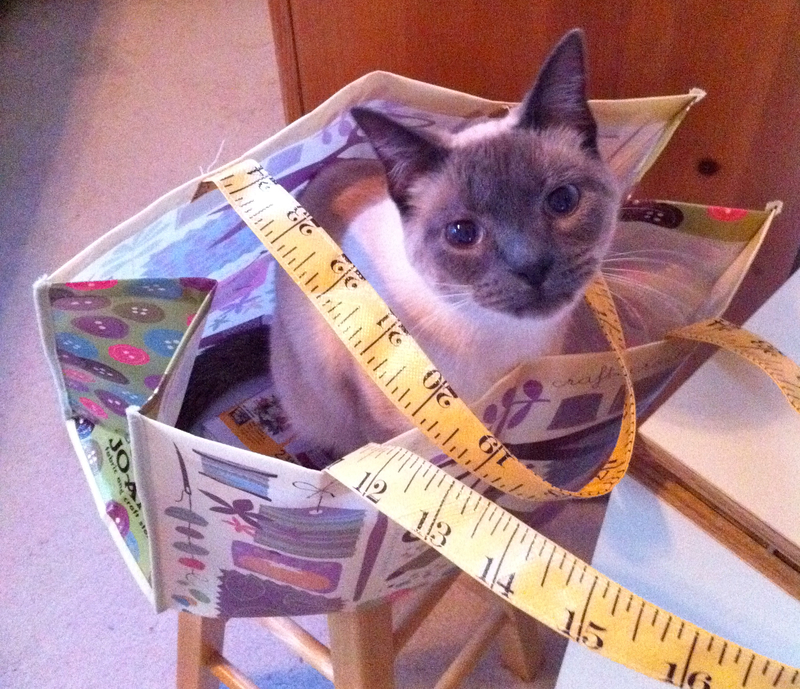 ← Wait, my pattern size is what? Very cute! Love it. You must have a lot of fun w/ your companion. He’s a sweet kitty and very loving. so cute! sweet little kitties are more than companions, they are entertainment. I still miss my little Georgia Louise. Every cat (and a bird) were named George. Right now we have 2 dogs, a Lab and Lab/Chow in residence. Unfortunately, they are not cat lovers, thus, no kitties right now. Lucky for me, my husband’s not a dog person. He’s not a pet person at all, but he doesn’t mind Teacup. He’s very entertaining when he’s attacking Nerf darts. So silly!